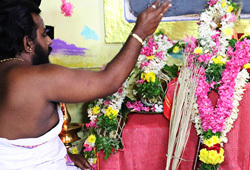 During Vasant Navaratri (Spring Powertime of the Goddess), AstroVed will perform a highly esoteric Pooja invoking 64 Yoginis who are the mega-powerful manifestations of Supreme Mother Goddess Lalita. These 64 powerful Goddesses have unique personas and powers to fulfill your desires, drive away negativity and fear, prevent misfortunes, and give you knowledge, peace, all-around prosperity, good progeny, and auspiciousness of all kinds. According to the sacred text Lalitopakhyanam, the Supreme Goddess Lalita Tripurasundari manifested in 64 mega-powerful forms called ‘Yoginis.’ These 64 Yoginis serve as messengers to carry our prayers to Goddess Lalita. It is believed that they are the divine feminine powers who can confer anything and everything you desire in life. 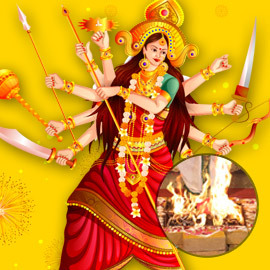 AstroVed will be welcoming Vasant Navaratri (Spring Powertime of Goddess) by invoking 64 Yoginis (Divine Feminine Powers), the mega-powerful manifestations of the Mother Goddess Lalita through an esoteric Pooja. 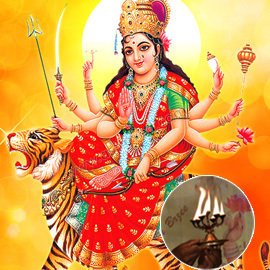 Access the divine feminine energies of these powerful Goddesses during Vasant Navaratri to fulfill your desires, drive away negativity/fear, prevent all misfortunes, and gain knowledge, peace, all-around prosperity, good progeny, and auspiciousness. 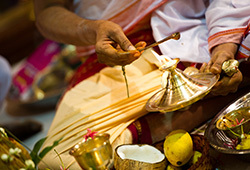 Book your individual Chandi Homa during Vasant Navaratri, the Spring power nights of the goddess to eradicate negativity and dark forces in life. 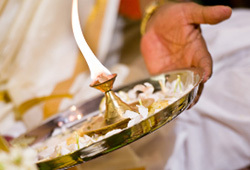 Your participation and sincere prayers during the Chandi homa can create a divine invincible protective shield against negative energies in your life. 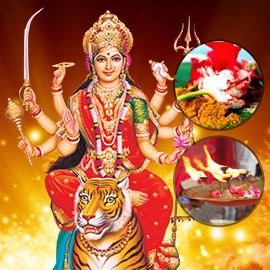 Vasant Navaratri denotes the power nights of the goddess celebrated the summer solstice, in the month of Chitra (March – April), celebration of which can eradicate negativity and dark forces in life. 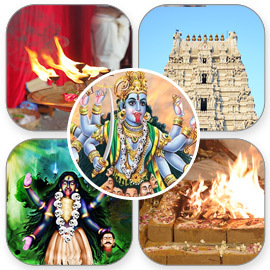 Chanting Lalita Sahasranamam (1000 unique names in praise of Goddess Lalita) can help remove the afflictions due to the influence of planets and the effects of evil spells. 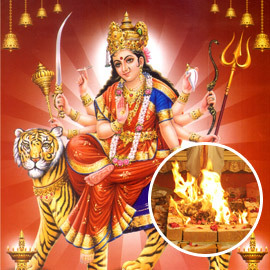 Durga Suktam (hymn of praise of Goddess Durga) homa can help you overcome physical and mental problems, remove obstacles and negative energy, and attain success in all endeavors. 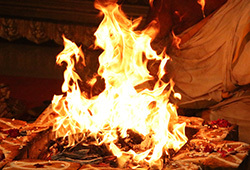 Book your individual Shakambari homa on the first day of Vasant Navaratri, the 9 Spring power nights of the Goddess. 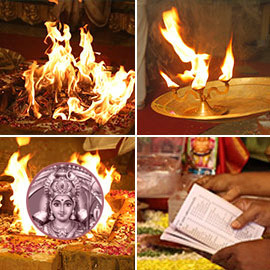 As per scriptures, invoking Goddess Shakambari in the sacred fire ritual can bestow abundance, nourishment, courage, confidence, success and divine protection from evil forces.